This month, we are delighted to introduce the ‘Guide me’ integration. 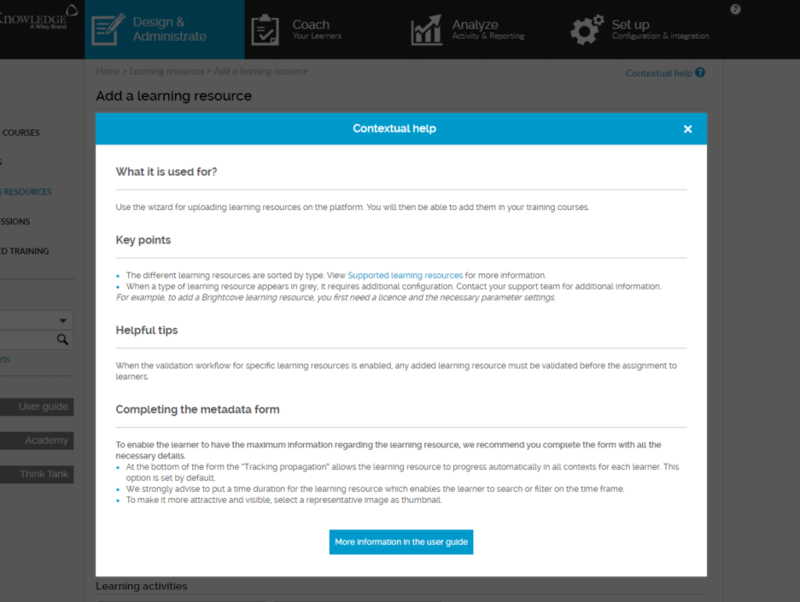 With more and more features releasing every month within the CrossKnowledge Learning Suite, finding the right help at the right time is becoming very easy for users and administrators. In order to provide instant help, while facilitating the use of the platform, CrossKnowledge has now performed a tight integration with its user guide, allowing you to get contextual help right where needed. A new “contextual help” button is now displayed on pages where help is available. These “mini-guides” are currently available for 33 pages in the Back Office of the CrossKnowledge Learning Suite, which were carefully chosen after a proper audit was performed on the most frequently used pages/features. 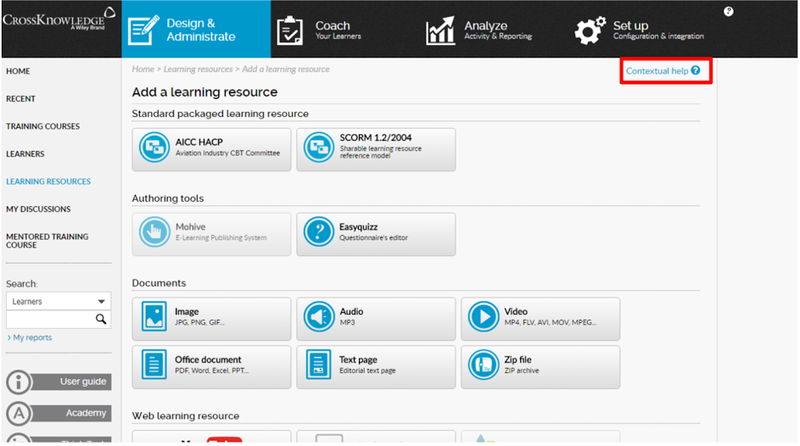 “Guide me” provides a brief explanation of what can be done from this page, with a link to the user guide where the user will find detailed explanation of the feature and many other pages that are relevant for this action. This is a first step of a larger initiative. We are determined to continue working to provide better experience and make the platform easier for the users and administrators. Access the help and enjoy administering the platform. Stay tuned for further updates!